Introducing the Clark Library Book Club! It is my pleasure to invite you to join us for a new series of events open to anyone and everyone with an interest in literature, history, and the Clark collections. 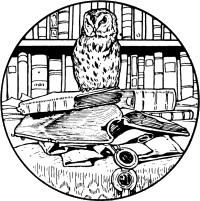 The Clark Library Book Club will meet monthly to discuss a book chosen for its ability to bring to life an aspect of the library’s holdings. We’ll spend time with spies and alchemists, witches and traitors, printers and players, and many famous figures in literary history. Our first meeting will take place on Thursday, October 23rd at 4pm in the North Book Room. In honor of Halloween, we will be reading Iain Pears, An Instance of the Fingerpost. The full schedule of Fall 2014 meetings can be found below. Updates and information about future meetings will be posted here. To suggest future readings or ask a question please contact Rebecca Munson (rgmunson@ucla.edu). Hope to see you soon! This obsession with paper and the press in seventeenth-century England reflects new anxieties, tensions, and possibilities surrounding representation in an age of increasingly mass textual and graphic print. By the turn of the eighteenth century, the press had expanded beyond all previous bounds with the explosion of ephemeral print, particularly newspapers, pamphlets, engravings, satires, and broadsides. This exhibition, curated by students in Dr. Stephanie Koscak’s undergraduate capstone seminar in the Department of History at UCLA, “Media and Politics in Early Modern England,” aims to capture the vitality and novelty of print in this period. Collectively, these rare texts and images demonstrate the ways in which authority was constructed through print while addressing contemporary anxieties about veracity and misrepresentation. Topics include: the development of newspapers, the construction of royal authority in graphic images and printed pamphlets, the invention of mass partisan propaganda, the channels of printed communication undergirding the mid-century witch crisis, and emerging genres of engraved visual satire, such as political playing cards. Like the printer George Bickham’s large, hand-colored trompe l’oeil engraving The Whig’s Medley (1711), included in the exhibit, print playfully reflected back on its own complexities. Authors and artists asked contemporaries to read dialogically, to compare multiple representations, and to cultivate sharp interpretive skills necessary for England’s new media landscape. 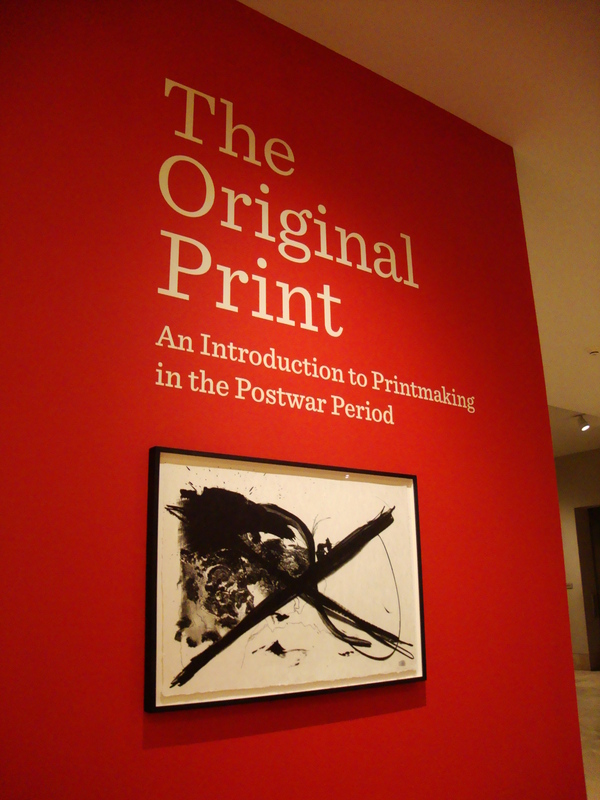 The exhibition will be open through September 2014. If you’d like to see it, make an appointment for a tour via http://clarklibrary.ucla.edu/tour or visit during one of our summer events! 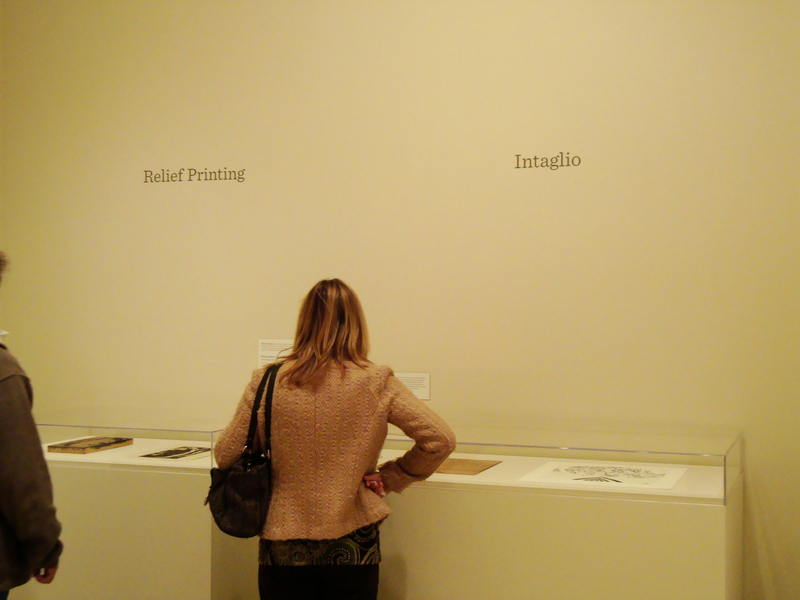 An Exhibition in Six Courses: Opening party! Thank you to all who were able to come to last Tuesday’s opening for our current exhibition, An Exhibition in Six Courses: Testing Recipes from the Clark’s Manuscript Collection! 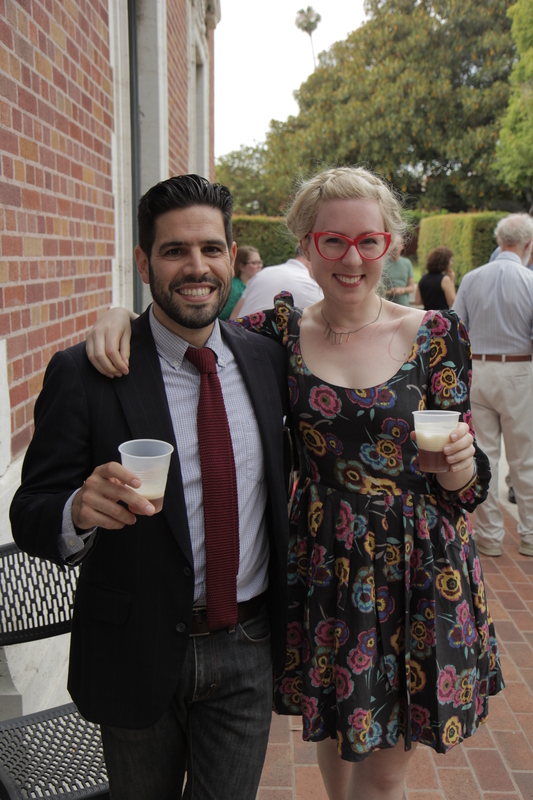 In addition to the debut of the exhibit itself, the opening also featured the tasting of a Nottingham Ale brewed by UCLA PhD candidate and Clark researcher Alex Hernandez, made according to a 17th-century recipe from one of our cookery manuscripts. Curator Jennifer Bastian (the Clark’s Visual Resources Specialist) spoke briefly to discuss her procedure for transcribing and interpreting the sometimes difficult vocabulary and eccentric measurements of recipes she tested in her home kitchen; Alex was also able to give some remarks on his similar experience working with the ale recipe, and on the history behind British ale-making and Nottingham ale in particular. If you were not able to make it to the opening, the exhibit is open by appointment until the end September. Call the Clark at 323-731-8529 to arrange a visit! The Clark has a new exhibition in our foyer and we hope this post might whet your thirst for a visit. 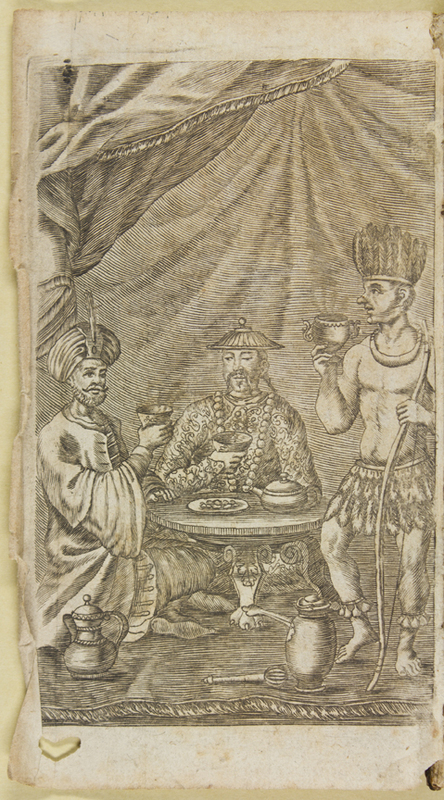 Bittersweet Uprising: Coffee and Coffeehouse Culture in Early Modern England explores the ways in which the seventeenth and eighteenth century English viewed that exotic, Eastern plant and beverage, coffee, and how they began to converse, play, and even work in a new social institution, the coffeehouse. 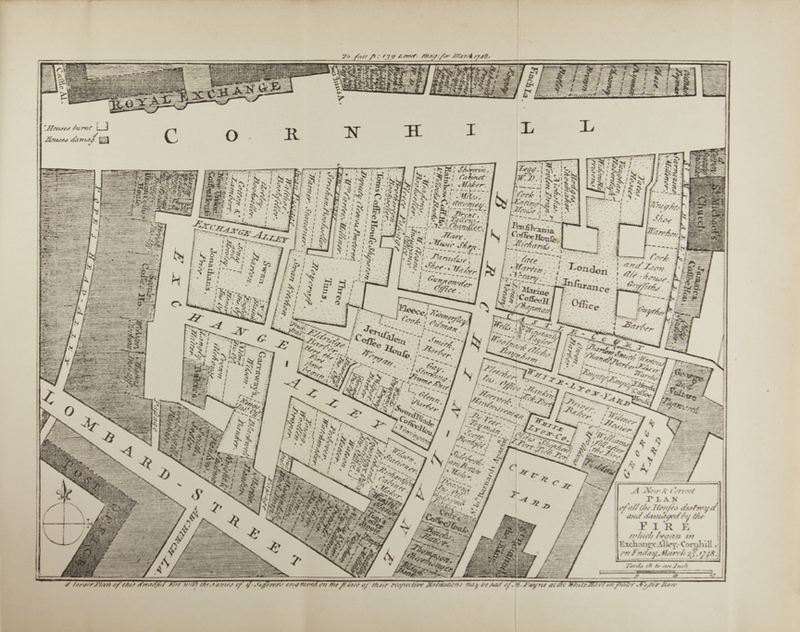 Through dictionaries, diaries, pamphlets, and satirical plays, we examine the coffeehouses of London’s Exchange Alley, and their role in political discourse, business, and social change. Though the coffee plant was not cultivated in England, naturalists and physicians were interested in the tree, its leaves, and its berries. 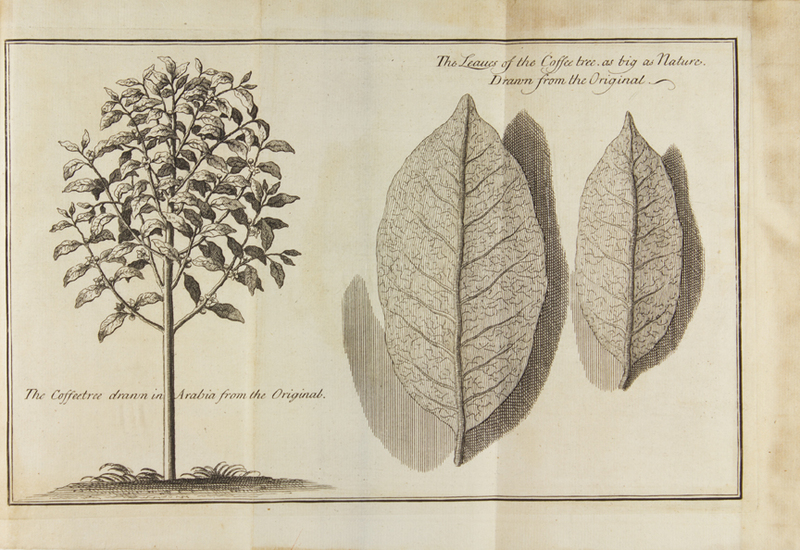 Illustrations of the coffee plant occasionally included captions noting that they were “drawn in Arabia from the Original” (and then, of course, engraved and printed). Some writers noticed coffee’s energizing effects and thought it an herbal remedy against all manner of distemper, from digestive disorders to plague. Coffee lovers of today may be amused to note that there is no dearth of suggestions on the best methods for preparing the coffee bean into a beverage. The methods, however, are quite different than those used in today’s cafes. One particular favorite of mine is the recipe for artificial coffee in William Ellis, The Country Housewife’s Family Companion (1750), which features not much more than burnt bread boiled in water. In Samuel Johnson, A Dictionary of the English Language (1755), a coffeehouse is defined as “[a] house of entertainment where coffee is sold, and the guests are supplied with news papers.” Coffeehouses were gathering places and entertainment spots, not just depots for refreshment. This description is not so different from that of today’s cafes, though we might exchange news papers with laptops and tablet devices. Early modern English coffeehouses were put to many social, political, and business uses. Political and religious discussions were so common as to be satirized in pamphlets and, more seriously, led to attempts to suppress the institution of the coffeehouse itself. Less threateningly, entertainments of various kinds abounded, from book sales and auctions to performances of plays and Don Saltero’s gallery of unusual artifacts. (If you would like to learn more about Don Saltero and his displays of rarities, see Brooke S. Palmieri’s fascinating storyboard here.) Diarists of the time, such as Samuel Pepys and Robert Hooke, note their plentiful visits and evince the extent to which, for some, coffeehouses were woven into the fabric of daily life. While there were coffeehouses for all sorts of professional and cultural groups, they generally were considered inappropriate places for women, who might risk scandal and loss of reputation were they to enter such establishments. Those engaged in publishing entered the debate with both general satiric pamphlets such as “The Women’s Petition Against Coffee” as well as satires on the lives of specific women coffeehouse-keepers, such as “Velvet Coffee-Woman” Anne Rochford. 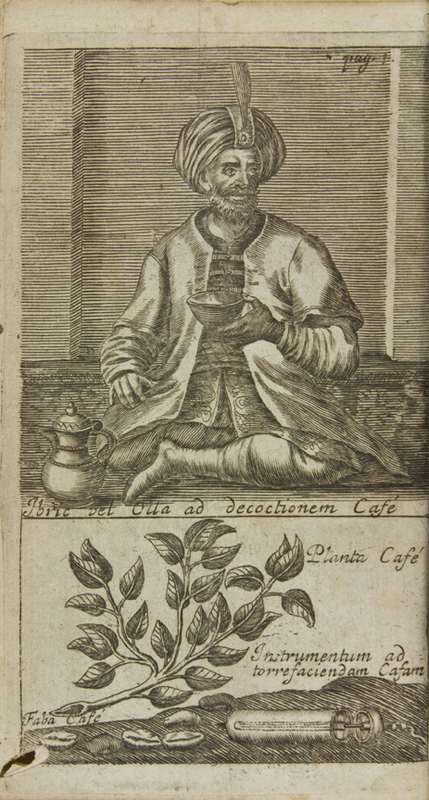 Coffeehouses of the period provided a kind of battleground in which many debates of the day, from politics to gender roles, could be discussed, satirized, and played out. Oh, yes, and they served coffee, too. The exhibit is curated by Reader Services Librarian Shannon K. Supple and UCLA History Department Visiting Scholar Benjamin Aldes Wurgaft and will be up through 22 March 2013. Contact us to make an appointment to visit or join us on the afternoon of 21 February for a Clark Quarterly lecture on the myth of the French cafe with Thierry Rigogne of Fordham University and a coffee tasting courtesy of Verve Coffee Roasters. Here’s your chance to consume coffee at the Clark! From January 24 through February 22, the William H. Hannon Library at Loyola Marymount University is delighted to host a traveling exhibition that explores the social, cultural, literary, and religious influence of the King James Bible over the four centuries since it was published. We were one of forty sites across the country to be selected to display this exhibition, which is partially funded by a small grant from the National Endowment for the Humanities. Manifold Greatness: The Creation & Afterlife of the King James Bible will be on display in the library’s level 3 atrium, just adjacent to the department of Archives & Special Collections, which is hosting a companion rare book exhibition called Singular Wisdom: The King James Bible and Early Printed Bibles, which includes a second edition of the King James Bible (1613) on loan from the William Andrews Clark Library at UCLA. All events are free and open to the public; Manifold Greatness is accessible from 8 a.m. to 8 p.m. M-F, and 11 a.m. – 8 p.m. Saturday and Sunday, and Singular Wisdom is open 8 – 5, M-F. You can find information about visiting LMU and parking here. The summer exhibition opened at the Clark today, just in time for next week’s NEH Seminar (“Oscar Wilde and his Circle”). 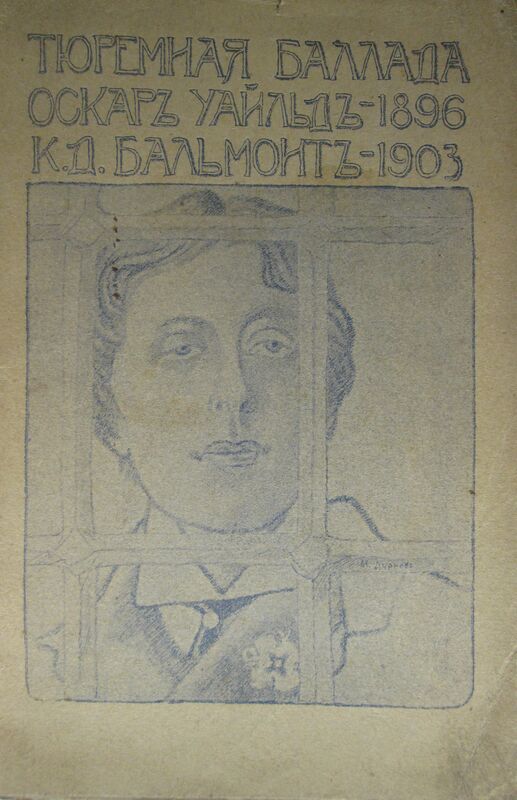 Russian translation of Ballad of Reading Gaol, 1904. 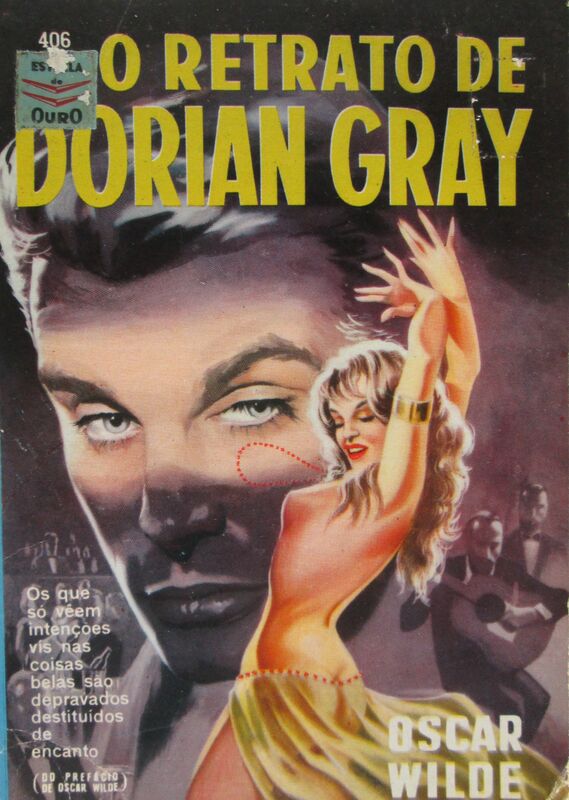 At the time that Wilde’s works started to be translated his most significant works were yet to be written, yet his reputation stretched well beyond England. Wilde toured America as a celebrated lecturer in 1882-83, and French writers such as Edmond de Goncourt and Andre Gide recorded impressions of Wilde in their journals as early as 1884. The German scholar Max Nordau when writing about the decadent writers of the late nineteenth century paid notable attention to Wilde in his study Entartung (1892; translated as Degeneration, London, 1895). 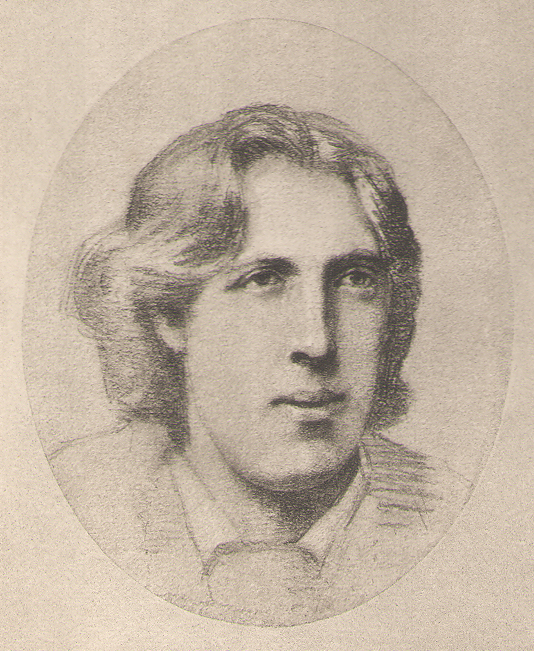 Wilde’s popularity approached its apogee in 1895, that is, just before the scandal of his trial against the Marquis of Queensbury—which he lost—and his subsequent trial for “gross indecencies”—which he also lost, leading to a prison term. 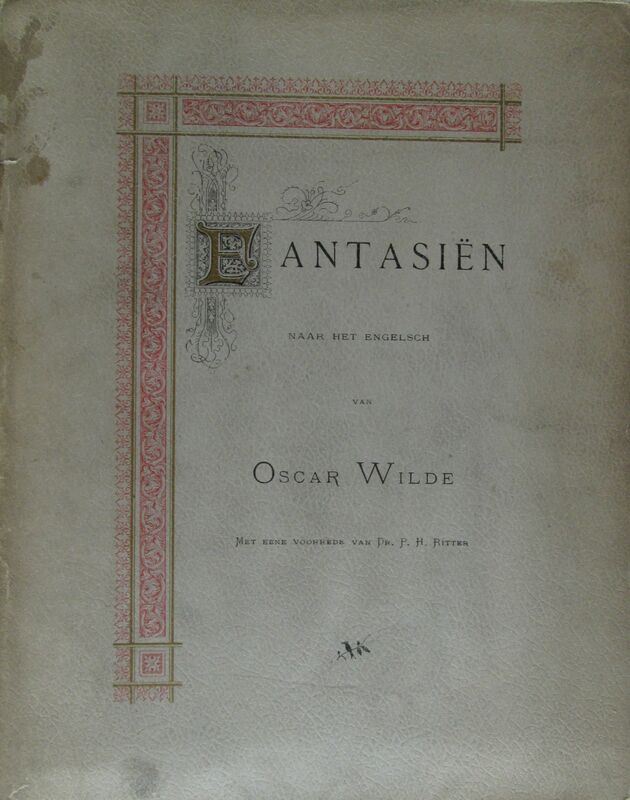 Fantasiën, the first Dutch translation of Wilde’s Fairy Tales, 1889. The exhibition features holdings from the Clark Library related to the works, influences, and education of Oscar Wilde as well as translations of Wilde’s works with an aim to contextualize Wilde’s movement from one language to another, one culture to another, and offer some insight into Wilde’s influence as a literary figure over a period of time that included his rapid ascension and precipitous fall. This new exhibit at the Clark is opening in conjunction with March 22nd’s lecture by Peter Hanff on his recent book, Cyclone on the Prairie, published by the Book Club of California — which is celebrating its 100th birthday this year. 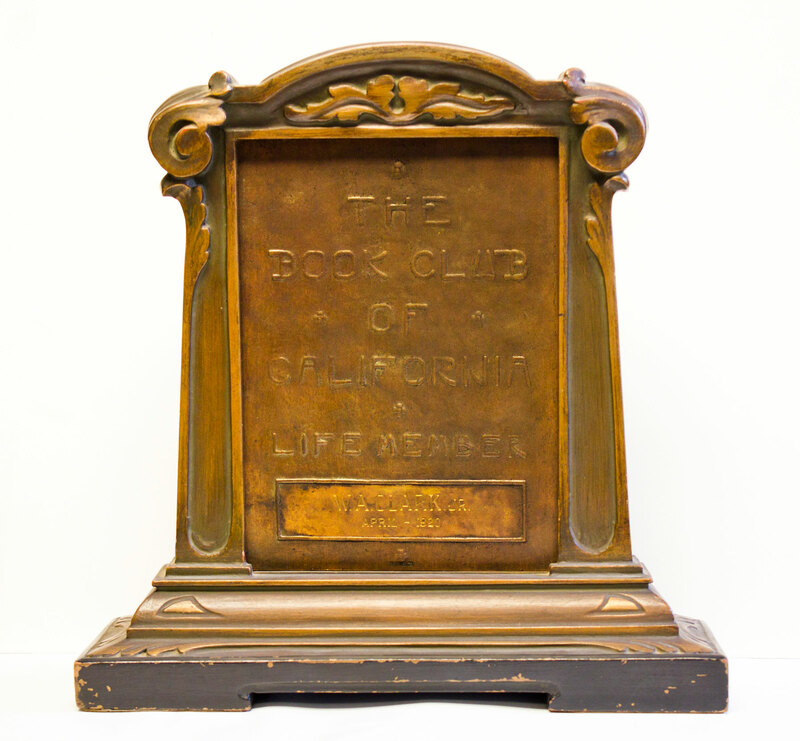 Founded in 1912 by fifty-eight charter members, the Book Club of California welcomes bibliophiles for exhibitions, lectures, and general bonhomie at the club’s San Francisco headquarters. Arguably the most important activity of the Book Club is its publication program, producing limited edition monographs, as well as a quarterly newsletter, keepsakes, and other ephemera. The first publication was that of Robert Ernest Cowan’s important Bibliography of the History of California and the Pacific West, printed by Taylor, Nash and Taylor in 1914. Cowan (Mr. Clark’s bibliographer) and John Henry Nash (Mr. Clark’s printer) no doubt influenced William Andrews Clark, Jr. to join the Club. In 1920 he paid $250 to become a life-time member. This exhibition celebrates Mr. Clark’s support of the Book Club of California, drawing on the Clark Library’s extensive holdings from the Club’s publication program and our mutual love for the printed word. By now, 41 of the exhibitions connected to the Getty’s Pacific Standard Time project have opened across Southern California, and one of those exhibits contains material borrowed from the Clark! PST seeks to investigate and celebrate the birth and life of the Los Angeles art scene from 1945-1989, and encompasses every major L.A. art movement during that period. 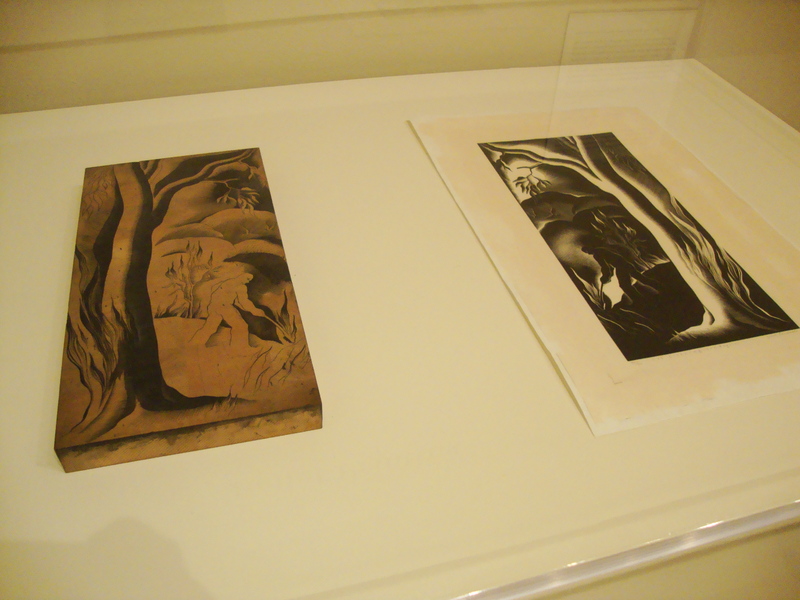 At the Norton Simon Museum in Pasadena, curator Leah Lembeck has assembled Proof: The Rise of Printmaking in Southern California, for which she asked to borrow the original woodblock of Paul Landacre’s Lot Clearing to accompany an original print already in the Norton Simon collection. 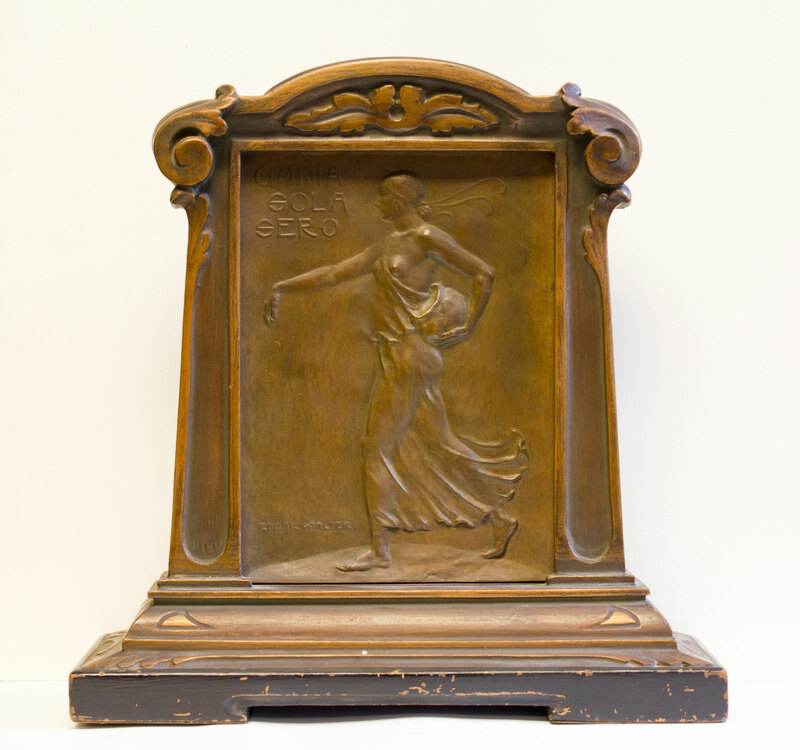 Several other Landacre items from the Clark’s collections will be included in the accompanying catalog of the exhibition. William Andrews Clark, Jr. not only was a bibliophile, he founded the Los Angeles Philharmonic Orchestra, and subsidized the first fifteen years of its existence. Reflecting Clark’s tastes, the Library owns an important collection of printed music published in Britain dating from about 1680 to 1810. The jewel of this collection is the compositions of George Frederick Handel in over one hundred first and very early editions. Not even the Henry Huntington Library possesses scores in such numbers or extraordinary quality! Other important composers are also part of the Clark’s collections, including Scarlatti, Haydn, Gasparini, Arne, and significantly, Pepusch, with the Library owning more than twenty editions of his Beggar’s Opera. To learn more about our Handel collections, please visit a new web exhibition, created by Evan Baker, recent UCLA MLIS graduate and stalwart volunteer! Thank you, Evan! Please join us on Friday, July 8th from 4pm to 7pm for an opening reception for our newest exhibit, Oscar Wilde and the Visual Art(ist)s of the Fin-de-Siecle. Gathering together original artwork and archival materials from the Clark’s collections, this exhibit will provide a survey of Wilde’s relationships with his contemporaries working in the fine arts, design and art criticism. The exhibit will be on display through September, but we hope you can join us on July 8th for refreshments and a game of croquet!